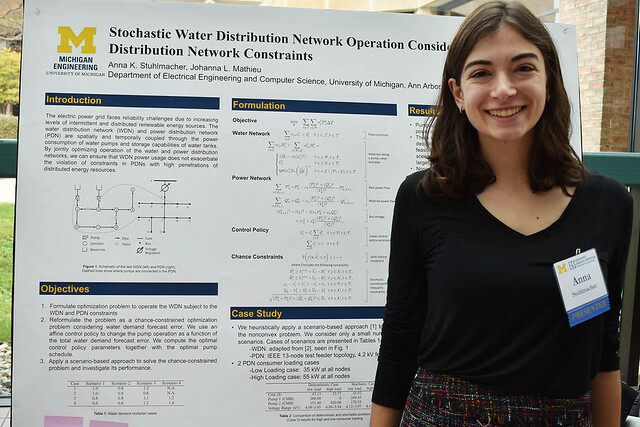 Student’s showcased their cutting-edge research at the 2018 College of Engineering Graduate Symposium held on October 26th. Their projects encompassed a wide variety of fields: revolutionizing energy systems, advancing technologies, and improving cybersecurity. Their research has the potential to advance many current and future applications, such as wireless energy transfer and autonomous driving. ECE was well represented with one student winning the Award for Scientific Visualization, one winning the Award for Social Impact in Emerging Research, two students nominated for the Richard and Eleanor Towner Prize for Outstanding PhD Research, nine students presenting for Advanced Research, four presenting for Emerging Research, and one student presenting at the Undergraduate Research Exhibition. Below is a list of all participating ECE students, along with more information about their projects. Xin Zan won the award for scientific visualization. 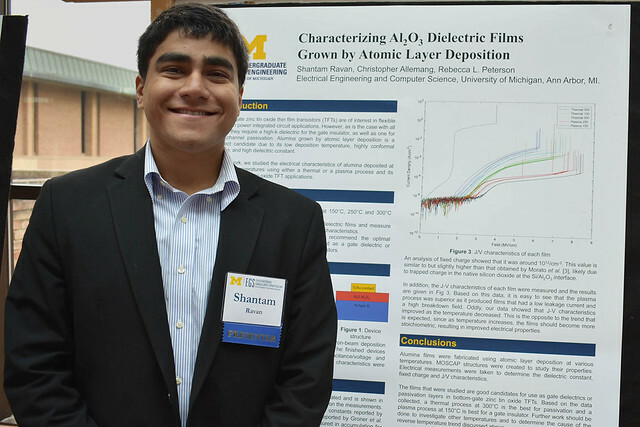 Zan enjoys research like Columbus Egg, and he admires Nikola Tesla. He did his undergrad at Tsinghua University. Currently, he is focusing on high‑frequency and very‑high‑frequency power electronics converters, especially for wireless power transfer. Wireless power transfer eliminates physical contact and can achieve convenient, reliable, and safe energy transmission, which can be used for implantable medical devices, consumer electronics, and electric vehicles. Bi‑directional wireless power transfer enables users to ubiquitously share and store energy. Increasing switching frequency benefits wireless power transfer in miniaturization and misalignment. Smart hubs that control lights, thermostats, smart devices, and more can also control wireless powering in the near future. In the Scientific Visualization Competition, Zan's team showed 27.12 MHz bi‑directional wireless power transfer using the smart hub, Alexa, to control the direction of power transfer (see video above). The direction of power transfer is determined by the user's requests to Alexa, responded by one of the two arrow-shape LEDs lighting up. The values from the two current meters and the drain voltage waveforms with phase shift from the oscilloscope represent the power direction and amount. Glen Chou won the award for Social Impact in Emerging Research. Glen works at the intersection of safety-critical control, motion planning, and machine learning. In particular, he is passionate about developing algorithms that can enable autonomous, data-driven systems to act safely and efficiently in the face of uncertainty. 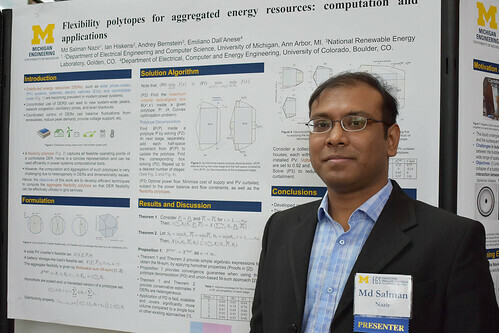 He currently develops algorithms for safe sampling-based motion planning for high-dimensional systems and learning safety constraints from demonstrations of safe behavior. Additional information can be found on Glen’s website. Below is a list of award-winning projects that were advised by ECE faculty with links to their abstracts. Below is a list of projects that were nominated for the Richard and Eleanor Towner Prize for Outstanding PhD Research with links to their abstracts. Below is a list of projects that were presented at the Advanced Research Poster Competition with links to their abstracts. Below is a list of projects that were presented at the Emerging Research Poster Competition with links to their abstracts. Below is the project that was presented at the Undergraduate Research Poster Exhibition. The full booklet of abstracts for these and other presenters is available here.